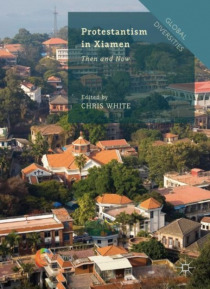 This interdisciplinary volume represents the first comprehensive English-language analysis of the development of Protestant Christianity in Xiamen from the nineteenth century to the present. This important regional study is particularly revealing due to the unbroken history of Sino-Christian interactions in Xiamen and the extensive ties that its churches have maintained with global missions and ov… erseas Chinese Christians. Its authors draw upon a wide range of foreign missionary and Chinese official archives, local Xiamen church publications, and fieldwork data to historicize the Protestant experience in the region. Further, the local Christians' stories demonstrate a form of sociocultural, religious and political imagination that puts into question the Euro-American model of Christendom and the Chinese Communist-controlled Three-Self Patriotic Movement. It addresses the localization of Christianity, the reinvention of local Chinese Protestant identity and heritage, and the Protestants' engagement with the society at large. The empirical findings and analytical insights of this collection will appeal to scholars of religion, sociology and Chinese history.